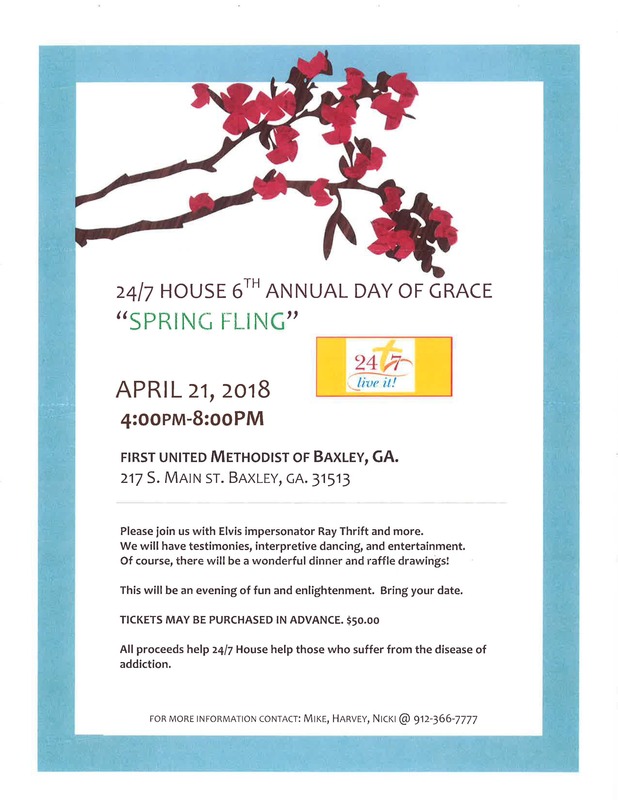 16th Annual Day of Grace "SPRING FLING"
Name: 16th Annual Day of Grace "SPRING FLING"
Please join us with Elvis Impersonator Ray Thrift and More. We will have testimonies, interpretive dancing, and entertainment. Of course, there will be a wonderful dinner and raffle drawings! This will be an evening of fun and enlightenment. Bring your date. ALL PROCEEDS HELP 24/7 HOUSE HELP THOSE WHO SUFFER FROM THE DISEASE OF ADDICTION.